Nickelodeon and Mattle are teaming up to offer a Dora the Explorer to the tween set. But parents aren't pleased that the wholesome, adventurous Dora seems poised to become a typical 10-year-old. The original press release showed a provocative, shadow-like silhouette of the new, older Dora which maybe left a little too much to the imagination: DListed.com dubbed the new design "Dora the Sexplorer," and many moms assumed the new tween would look a lot like a Bratz doll. Mattle released a detailed image yesterday, showing her looking like a prettier version of the football-headed child our toddlers love. But to many parents, it's still too much. I think the new Dora is cute and all, and I understand that there are vast marketing and monetizing issues at play, but seriously, Mattel and Nickelodeon, take a lesson from New Coke here and leave well enough alone. Why should our children follow Dora to middle school when Dora's ditched her best friend Boots and the rest of the gang? What does that say about the importance of childhood friendships? 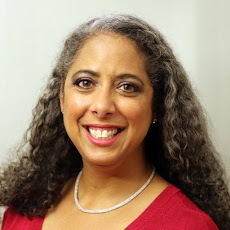 Why not develop something around Dora's cousin Alicia, an animal rescuer who helps save penguins and pumas with her brother on the spin-off show Go, Diego, Go!, in order to appeal to older children -- or create a new character entirely? What's next? Adolescent Elmo? Blue's Last Visit to the Vet? One of the most important life lessons for young kids is that you get bigger and move on to "big kid" things -- and that it's OK. When I was a child, we "graduated" from Sesame Street and Mr. Roger's Neighborhood to The Electric Company and School House Rock and ZOOM. There's a reason why no one marketed a Sesame Street for older kids: Older kids aren't anxious to hold on to the trappings of toddlerhood, for all that their parents wish they might be. What do you think? 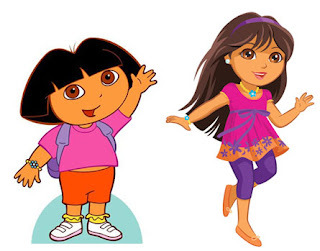 Read the whole post at Child Caring, and weigh in: Are we taking Dora's makeover too seriously?